gamayun wrote: Is it all over already? I’ve seen this bar mentioned in the past but definitely seems like a rare breed, someone snagged a couple on eBay. Anyone have any details? 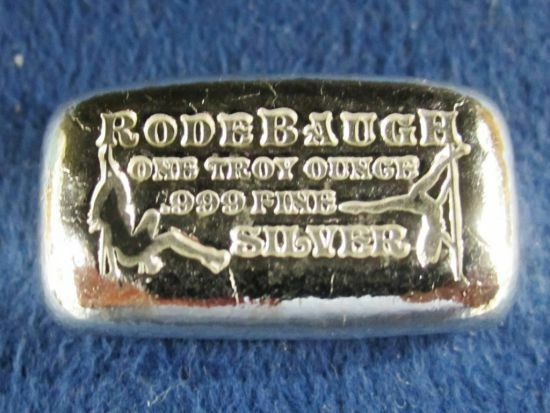 bigjohn wrote: I’ve seen this bar mentioned in the past but definitely seems like a rare breed, someone snagged a couple on eBay. Anyone have any details? I saw that, too, and wondered the same thing. There is no "Pole Dancer" listed in Doc's mintage lists posted in this thread. I wonder if that was his "First Pour." This was my entry. I didn't win. So that's the Night Shift. Thanks for the info! 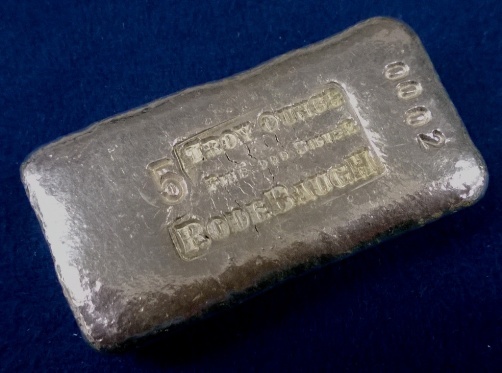 If anyone has an extra one lying around, I'll trade one of the freshly-minted 2017 Rodebaugh classic ingots headed my way soon for it. I only "need" one of the two I purchased. For those that don't know what we're talking about. Missing anything Brian or do you have them all? BTW still a pretty coolass box man. Expect a minimum of four more Diff 5ozers. Rodebaugh wrote: Expect a minimum of four more Diff 5ozers. Also....Got some checks into today. Some good jokes....some not so good.....all appreciated. Also Almost got bit by a Rattlesnake in an envelope from a BS member....I was quick but It got the children and wife. (funny the stuff that folks will mail when they are ornery and know that you like a good joke.) Anyways, Checks logged in tomorrow during sober hours and bars shipped with tracking pm'ed. There is one I’m missing... I tried to get it a couple years ago, but deeper pockets prevailed..
Diggin4copper wrote: There is one I’m missing... I tried to get it a couple years ago, but deeper pockets prevailed..
Don't count that 5oz bar. Only 2 of them out there.